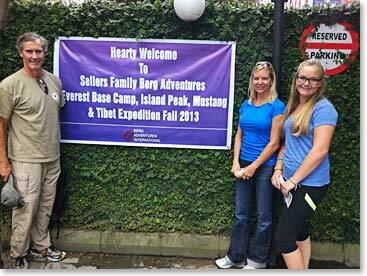 Everest Base Camp Dispatch: October 22, 2013 – The Sellers Family Adventure Begins in Kathmandu! 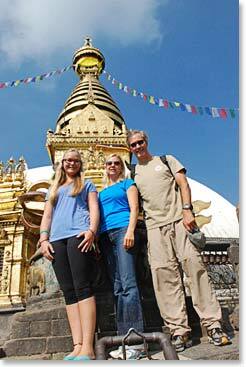 Keely, Alyssa and Scot arrived in Kathmandu on Thai Airlines flight 319 from Bangkok on Monday. Ang Temba met them at the airport. 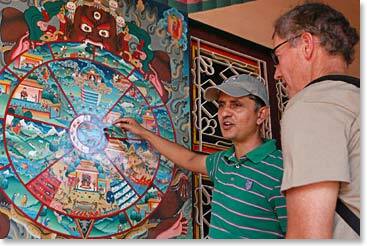 Friendly monkey? 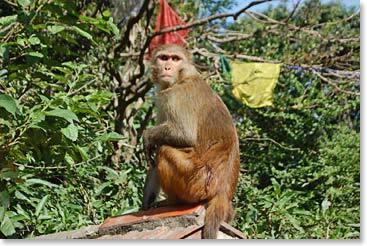 The Rhesus’ Monkey, for which Swayambhu Temple in Kathmandu got its second name; Monkey Temple, stand watch over this 2500 year old holy site. 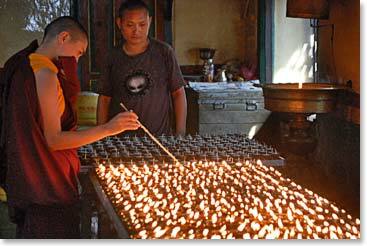 Hundreds of butter lamps are lit inside a monastery at Swayambhu. 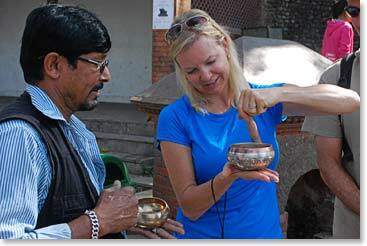 Later we visited Pashputi, Kathmandu’s largest and most famous Hindu temple. 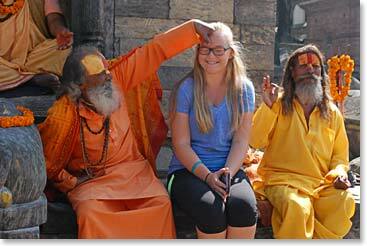 Alyssa gets a “tika” blessing on her forehead from a Hindu holy man. 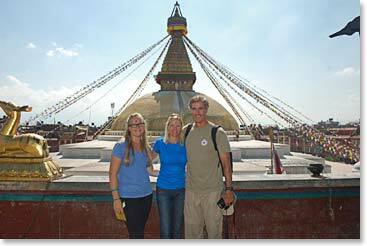 Finally we visited Boudha, Kathmandu’s largest Buddhist stupa, and one of the most important Buddhist centers in all of South Asia. 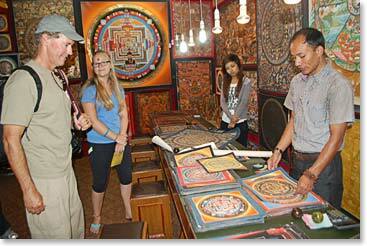 Thanka painting are a characteristic art form of Tibetans and Sherpas. 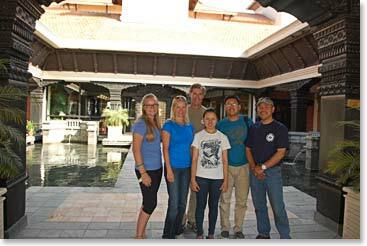 We took lunch at the Hyatt Hotel near Boudhanath where we were pleased to be joined by Ang Temba’s son and daughter.